Aquaphor Healing Ointment For Cracked And Irritated Skin 3.5oz has been formulated to help you with any skin ailment you may have. Designed to support all skin conditions, Aquaphor skin care products can aid you with repairing, moisturizing, and hydrating your skin. 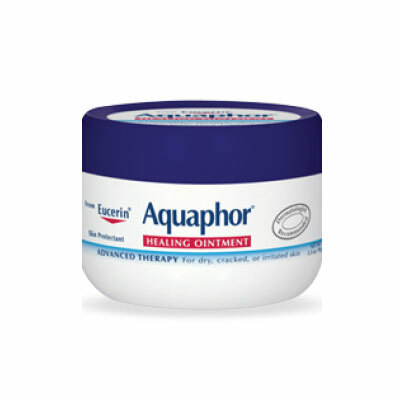 Aquaphor Healing Ointment For Cracked And Irritated Skin 3.5oz provides advanced healing for dry, cracked or irritated skin and helps enhance the natural healing process and restore smooth, healthy skin. Multi-purpose ointment helps heal raw, irritated skin caused by radiation treatments, facial resurfacing procedures and eczema. Soothes and helps protect extremely dry, chapped or chafed skin and lips caused by winter weather or frequent hand washing. Soothes and protects minor burns. Fragrance-free, preservative-free, non-irritating, and ideal for sensitive skin.